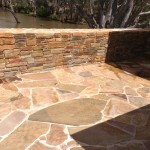 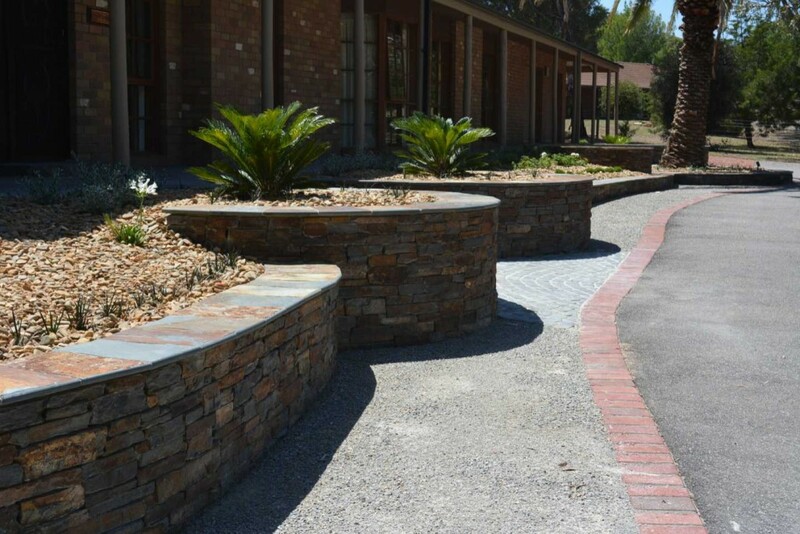 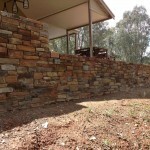 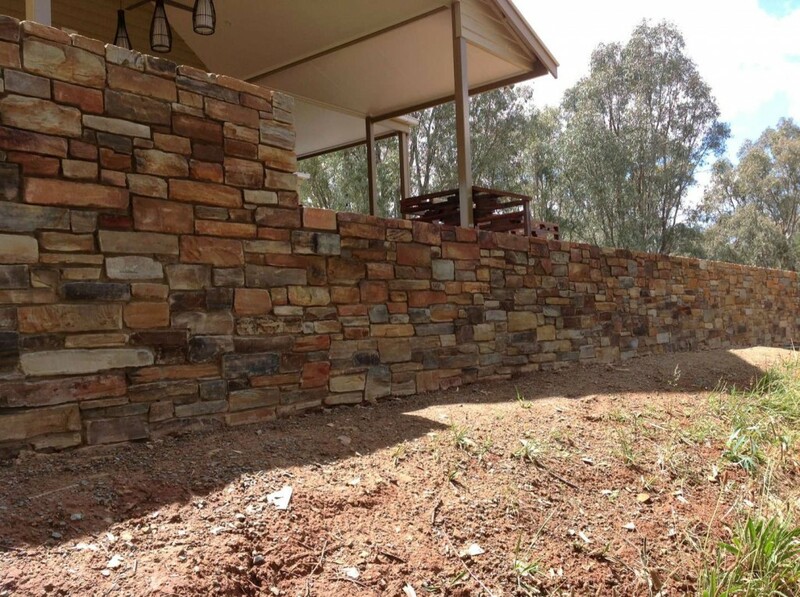 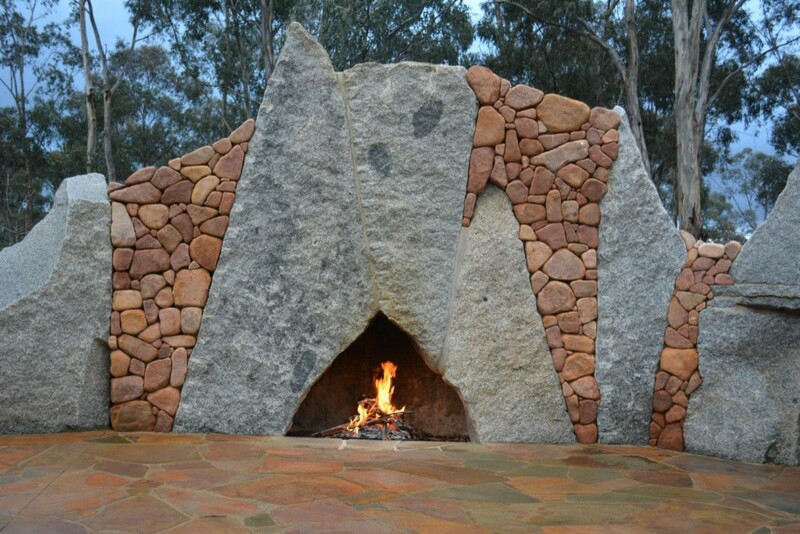 Located just outside Bendigo this Central Victorian landscape project highlights the use of stone and recycled materials. 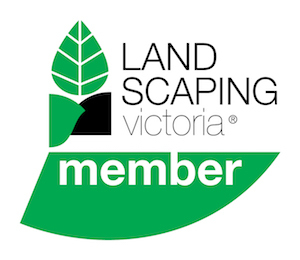 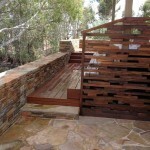 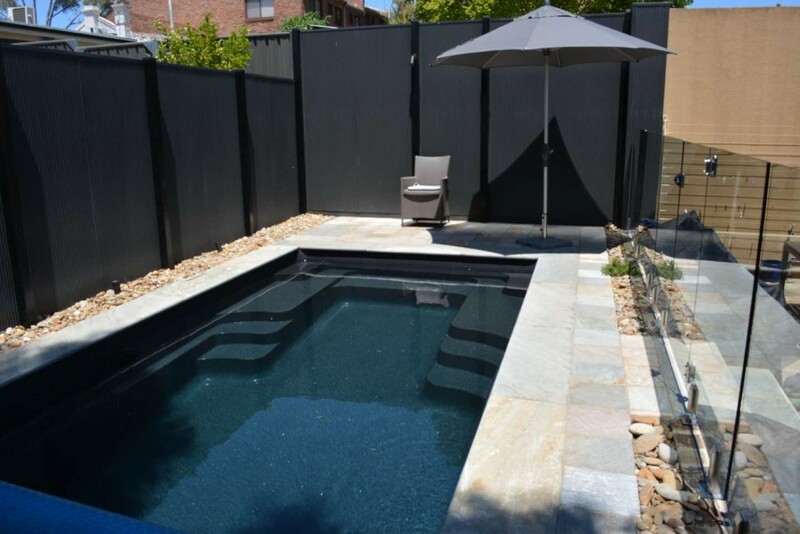 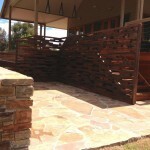 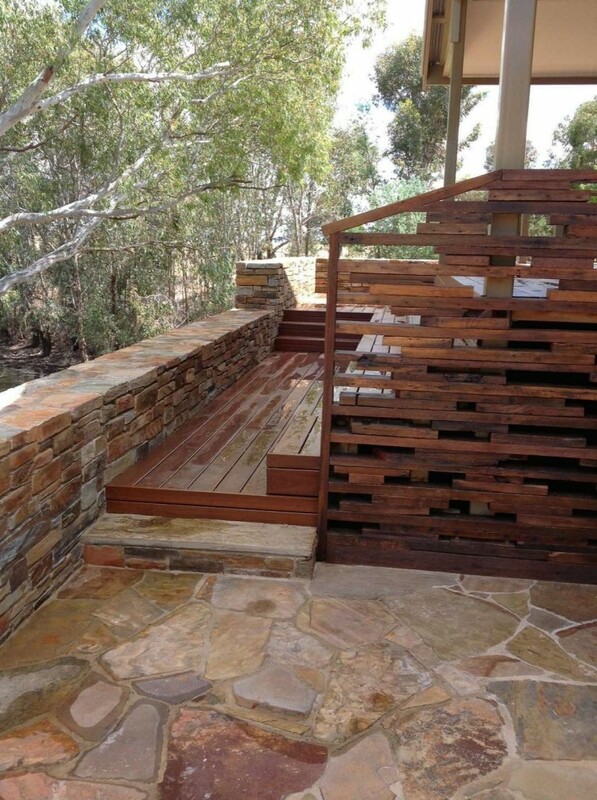 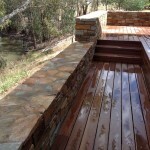 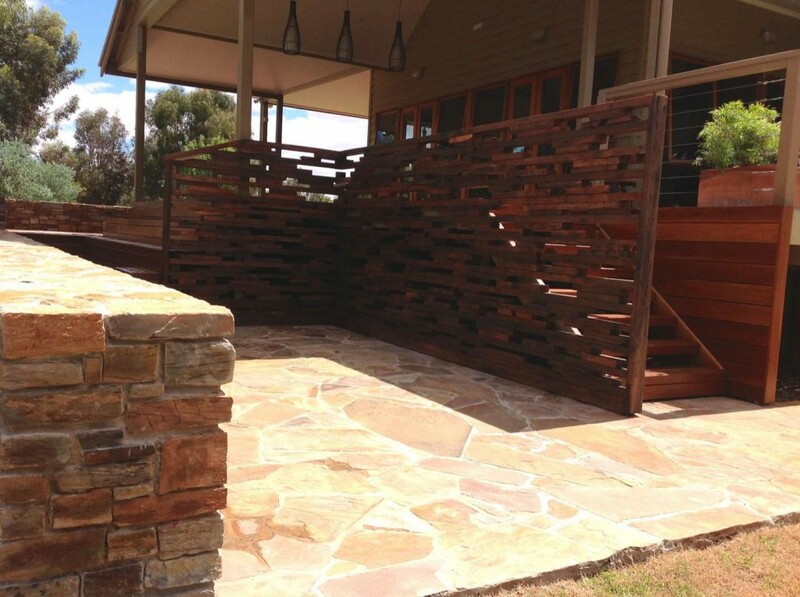 Castlemaine Slate random stone paving and Yandoit sandstone spalls were specifically chosen to complement the newly constructed hardwood decking and recycled timber screen. 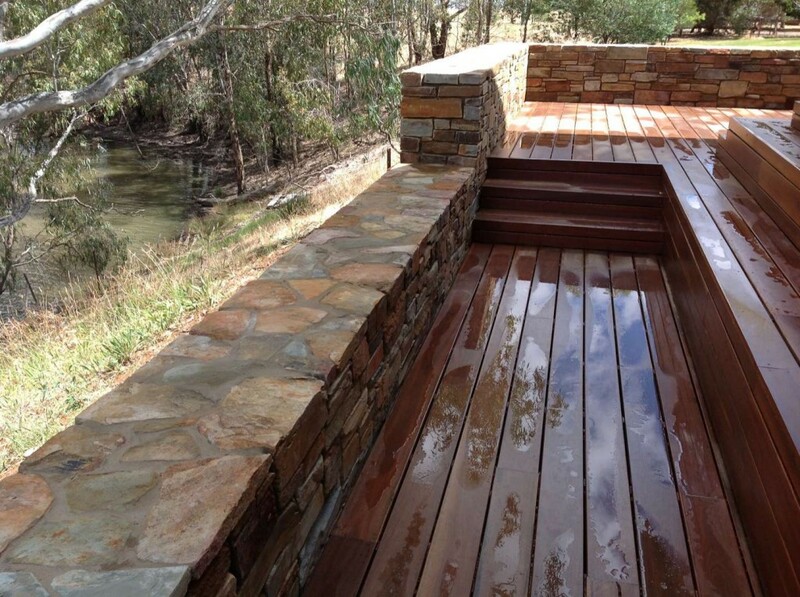 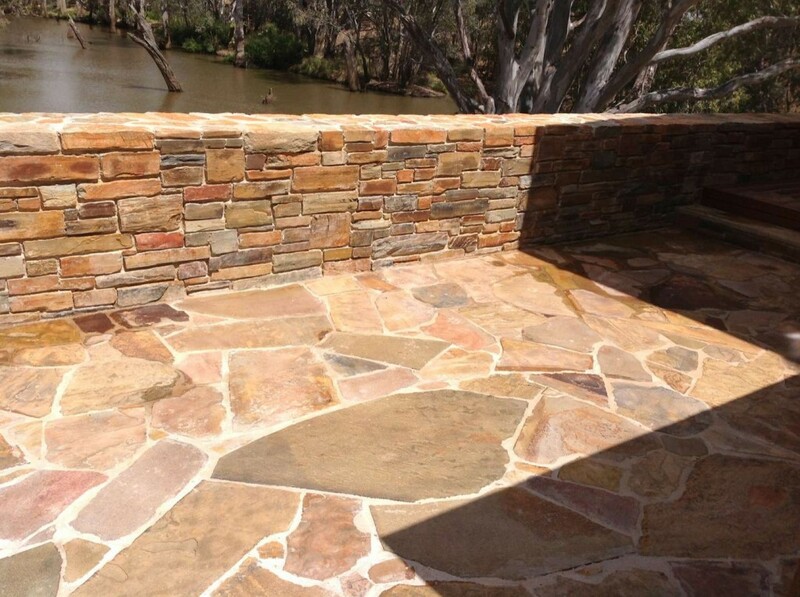 This combination creates a very peaceful and tranquil outdoor lounge area to relax and unwind in and a vantage point to look out over the nearby river. 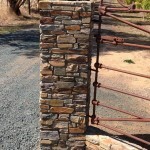 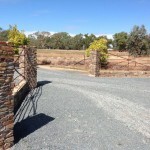 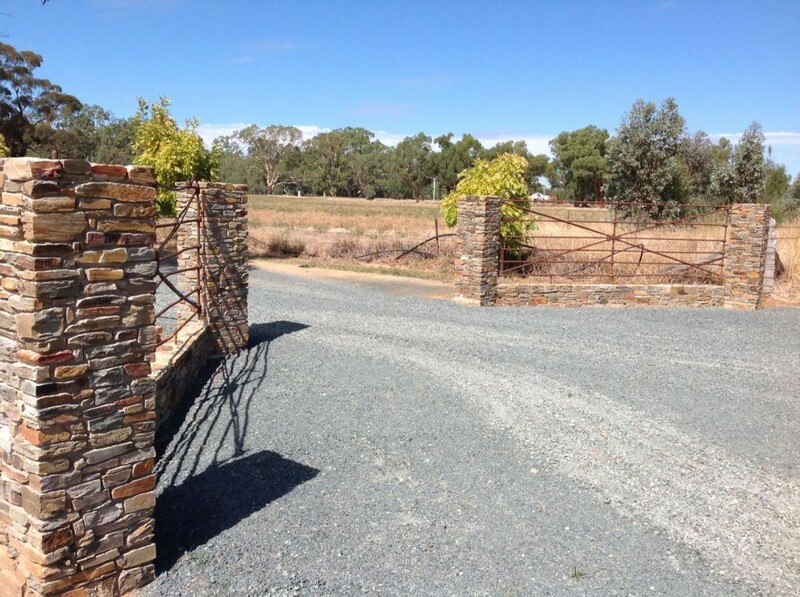 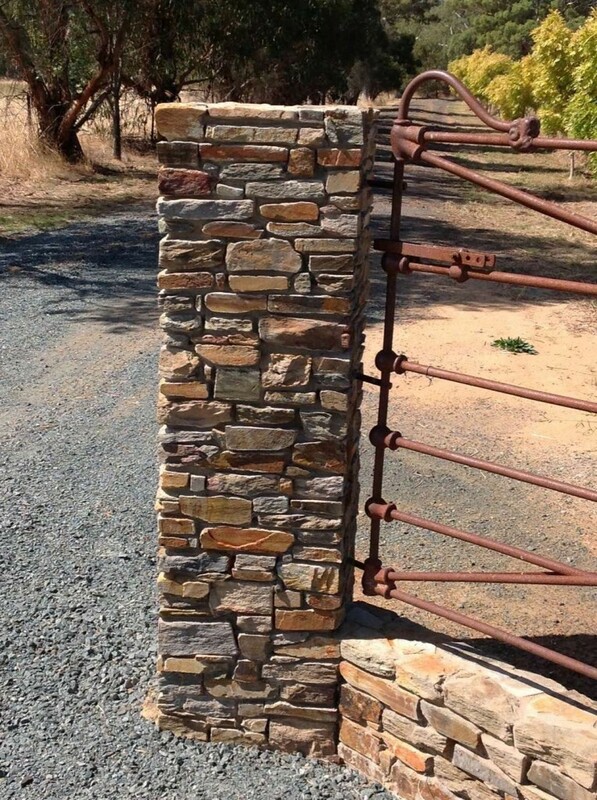 In line with our philosophy of creating as little waste as possible, discarded stone from the main wall project were used to create the pillars for the entrance gate, the incorporation of rustic vintage steel farm gates by the owner helps bring the entire space together.